According to her, the A/H1N1 virus, observed since 2009, is not called "swine flu." Harmanci noted that this is the same virus that is observed in Europe and Georgia. 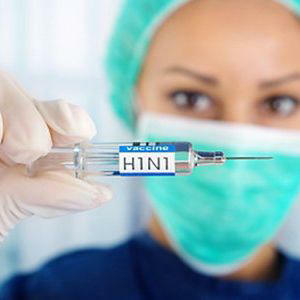 "However, the A/H1N1 virus is considered a seasonal flu. Seasonal influenza occurs from both the A/H3N2 and A/H1N1 viruses. This A/H1N1 virus is now widespread in Georgia, but it has already been widespread throughout the world for 10 years and does not differ from the viruses spread last year," added Harmanci. In case the “swine flu” is transmitted from a pig to a person and then from one person to another, then it is called a seasonal flu. "The last time the A/H1N1 flu pandemic was observed in 2009. Back then, a new virus emerged and passed on to people. The pandemic was caused by the A/H1N1 virus. Both the A/H1N1 and A/H3N2 viruses tend to cause seasonal flues. Just in previous years, this type of virus is spreading this year as well. What is being observed in Europe, Georgia and Azerbaijan is a common seasonal flu," added Harmanci. She also remarked that the spread of the A/H1N1 virus in Azerbaijan should not be a cause of concern. Ibadulla Aghayev, Chief Epidemiologist of the Ministry of Health, said that should the incidence become widespread, all measures will be taken to combat it.